Duty station: Dar es Salaam, Tanzania. Duration: Two years contract with possible extension upon satisfactory performance. 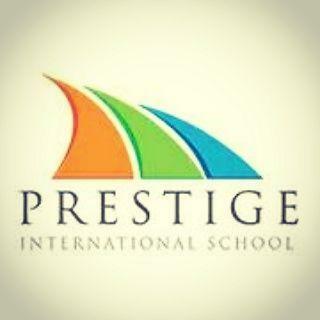 Prestige Primary School is located in Bunju Dar es Salaam, Tanzania and currently wants to recruit primary school teachers. 1 To teach, mentor and coach primary school pupils. 2 Manage the class, as class teacher. 3 Participate with other teachers in maintaining overall school performance, reputation and growth. o Teach children in different classes in accordance with NECTA and Waldolf school curriculum. 1. Teach primary school classes, as assigned and work in consultation with the head of primary in the development and fulfillment of curriculum goals of the school syllabus and the nation, while using prescribed syllabus for each subject. 2. Responsible for overall supervision and welfare of the class as well as daily tuition for pupils. 3. Assist by covering for absent teachers when required by the head of primary. 4. Attend meetings and contribute to pupils’ assessments. 5. Write pupils reports and assessments. 6. Keep, update and maintain class attendance registers. 7. Prepare schemes, lesson plan, lesson notes, and class journals for each subject. 8. Participate in regular appraisal conducted by head of training and other designated persons. 9. Take charge of any situation (by solving and finding remedies even if not on duty i.e. collective responsibility) for the smooth running of the school. 10. Participate in co-curriculum activities. 11. Act professionally towards all pupils’ i.e. decent language and proper dressing code. 12. Prepare teaching aids, handouts and manuals for planned and approved lessons; make use of effective teaching methods. 13. Carry out theoretical and practical teaching activities as per approved plan; make use of effective teaching methods. 14. Pay attention to show learners and provide them with additional assistance to improve. 15. Ensure that school properties are well looked after by all concerned. 16. Spend quality time with her/his class to advice, guide and counsel pupils on what the school, parents, community and nation as a whole expect of them. 17. Respond to advice from primary head, and support him or her. 18. Maintenance of the teacher-parent consultative workbook. 19. Ensures class cleanness, discipline and teamwork. 20. Take lead in ensuring that children learn on the use of internet and computers. 21. Carry out any other duties as the head may assign. o B.Sc. or Diploma in Early Childhood Development. o Three years work experience in teaching primary school, English medium. o Fluency in English language. o Excellent experience in curriculum development and implementation. o Understanding of principles of child development and learning processes and in particular barriers to learning. o Computer literacy especially Microsoft excel.